Are you a bit of an adrenaline junkie? Looking for your next challenge? Why not raise money whilst getting your heart racing! Sponsorship from your chosen event will go towards providing services and support Deafblind Scotland help those most in need. 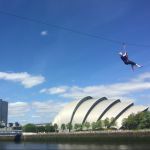 Always dreamt about throwing yourself out of a plane, why not fulfil it whilst raising money for Deafblind Scotland? Skyline offer air bases in St Andrews, and Auchterarder. Contact the Fundraising team for dates and more information. 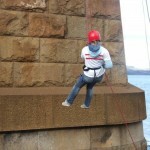 From the Finnieston Crane to the Forth Road Bridge, you can abseil it all! 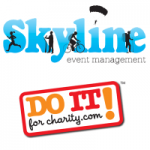 Get in touch with our Fundraising team for dates and info on this adrenaline pumping challenge. Fancy gliding across the Clyde and taking in spectacular views? Contact a member of the Fundraising Team to register your interest today!